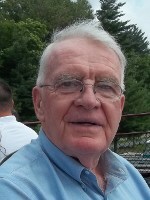 MECHANICVILLE – T. Matthew Donnelly, 74, passed away peacefully on January 7, 2014, at his home after a long illness, while under the devoted care of his wife, Karen, and Community Hospice of Saratoga. Matt was born on October 8, 1939, as the only child of Thomas and Mary (Conway) Donnelly in Port Leyden, NY. Matt grew up and attended school in Rye, NY. Following high school Matt attended Nichols Junior College before entering the US Army, in which he served 3 years. Upon his honorable discharge Matt attended Wanakena Ranger School prior to entering the NYS Troopers, from where he retired after 29 years of service. Following his retirement from the NYS Troopers Matt worked 16 years for AKAL Security as a Court Security Officer in the federal courts in Albany, NY until ill health forced his retirement in 2011. In addition to Karen, his wife of 27 years, Matt is survived by his daughters Jennifer (husband Douglas) and Megan (husband Alex) and a granddaughter Daisy, all of whom he loved and missed dearly. Matt was also survived by step-children Stacy (husband Chris) and Michael (wife Kelly), step-grandchildren Mitchell, Gary, Dana, Logan and Paige, brother-in-law Richard (wife Sandy) and step-niece Lindsay. Matt was further survived by a special cousin Leslie and her family whom he cherished. In addition to being predeceased by his parents, Matt was also predeceased by a step-granddaughter, Ashley, in 2004, and close childhood friend, Mike Cronin, in 2013. In keeping with Matt’s wishes his body has been donated as an anatomical gift to Albany Medical College. A memorial service will be planned in the spring. In honor of Matt’s lifelong love of all animals donations may be made to Purrfect Companions, 628 N Pearl Street, Menands, NY 12304 or to an animal rescue of one’s choice. All of us in Syracuse send our sincerest condolences. Rest in peace my brother. You will be missed by all and we will meet again in Valhalla! I grew up in Rye, New York. Matt lived a few blocks away. “You don’t want to do that John”, Matt said. “I know of much more civilized position right here on the base with Headquarters Company” he went on. “Ya think so?”, I asked. “Yep”, he said. And with that, he took out a pen and changed my orders. I was assigned to a clerk’s position in the Security Office where I kept track of security clearances and issued appropriate security badges to personnel. It was like a 9-5 job. Each day I took the bus from the barracks to office and back. Weekends were free to do whatever I felt like. And you thought the Generals ran the Army? Nope, it’s the E-4s. A short time later, I got to now a couple of the Special Agents from Army Intelligence who had an office just down the hall from mine. One of them asked me one day, “John, why don’t you ask for a transfer to our unit?” “Ya think do?, I asked. I wore civilian clothes – lived in an apartment – and drove a Government car. The work was fascinating. And when my tour of duty was over, I embarked on an equally-fascinating 40-year career in the security and investigations business. I always intended to find Matt again some day and say “Thanks” for what he did for me.